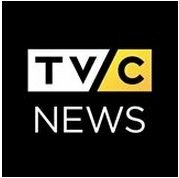 News TV Channel / TVC News is a 24-hour television news channel owned by Continental Broadcasting Service Nigeria Ltd., based in Lagos. From its inception the network promoted itself as the "first Pan-African news agency" with plans to open offices in Johannesburg, Nairobi, Accra and Dakar. The channel airs on British Sky Broadcasting Group Plc (BSKYb) in the UK, Naspers Ltd. (NPN)’s DStv and Startimes in Nigeria, and Multi TV in Ghana. Its current CEO is Andrew Hanlon, former Group Head of News and Current Affairs at TV3 Ireland, and its deputy CEO is Lemi Olalemi, former director of programmes at Channels TV. One of the goals of the network is to offer a different perspective to many foreign media stereotypes about Africa.